In the past couple of months, Alfonso and I have offered different perspectives on topical issues. First, we discussed (too much and for too long) about the legal test that should apply to exclusive dealing. We then published a couple of posts (here and here) on the recent Bananas ruling of the ECJ. As in many other areas, it makes sense to take a look at how these matters are dealt with in the US. The comparative perspective is all the more interesting considering that the FTC has examined similar matters relatively recently. 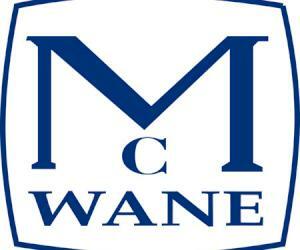 As many of you know, the US Court of Appeals for the Eleventh Circuit upheld last month the FTC’s order in McWane. The (other) Commission had found that the company had engaged in unlawful exclusive dealing. The Court of Appeals concluded that the findings about the impact of the practice on competition were supported by substantial evidence. So here it is: an exclusive dealing case that follows an effects-based approach and that is, in addition, decided against the dominant firm. The legal approach endorsed by the Court of Appeals in McWane is familiar to EU lawyers. For instance, it is routinely followed in non-horizontal mergers, even when they involve a dominant firm (just think of Tetra Laval). Too many posts later, I have not yet found a compelling argument as to why the same legal test should not apply to exclusive dealing under Article 102 TFEU, and why the perpetuation of internal tensions in the EU competition law system is appropriate or sustainable. But rest assured that I will not insist! McWane is a very useful read for another reason. Over the past few months, it has been assumed, too readily and too often, that an effects-based approach to Article 102 TFEU would require complex economic studies that would unduly delay the procedure and would make it very difficult to establish an infringement. McWane shows that these concerns are not justified. Not only was a violation established in the case, but the approach advocated by Commissioner Wright, who claimed that the FTC’s analysis was not sophisticated enough, did not carry the day. Alfonso and I focused on different aspects of the Bananas case. I devoted my post to the qualification of the exchange as a restriction of competition by object. He expressed misgivings about the fine imposed in the case. Bosley suggests that the FTC would be in broad agreement with the two of us. The FTC claimed that the companies exchanged ‘competitively sensitive, non-public information’ about their business practices. The behaviour was challenged because it ‘served no legitimate business purpose’. This is precisely the approach that the Court of Justice has consistently followed when examining whether agreements restrict competition by object, including Bananas. Interestingly, the FTC case was not closed with a fine, but through a consent agreement, whereby Bosley agreed not to exchange (or request) competitively sensitive information and to set up a compliance programme. This outcome provides support for Alfonso’s very sensible post. My only objection to it was in fact that his thoughts were relevant well beyond the relatively narrow area of information exchanges. His criticism of the case raised fundamental issues about the enforcement of EU competition law that would warrant careful consideration. There are indeed many practices that cannot be compared in any way to a cartel (or the ‘supreme evil of antitrust’, as he put it in the post) and that are nevertheless subject to fines (see above, for instance). Note (starting in p. 15) the standard of judicial review applied by US courts when reviewing a decision of the FTC. A useful reminder for many. Also, starting on p. 42, the standard of proof that the FTC has to meet (‘probable effect’) some enlightening detail on this at 48-49, and on the role of “intent” at 50-51. Indeed, interesting perspectives on recurrent debates in Europe.